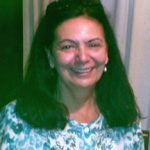 Rena Osmer, M.A., has been passionate about Waldorf early childhood education since completing her training in 1985, and has taught children, parents, and teachers for many years. She is keenly interested in innovative ideas and new initiatives and has served the national development of Waldorf early childhood as WECAN Board Member, founding Board member of Sophia’s Hearth, and LifeWays North America Lead Teacher and Advisor. Rena’s career began on the eastern seaboard in Wilton, NH at the Pine Hill Waldorf School and the Center For Anthroposophy and Antioch New England. On the west coast she worked for Rudolf Steiner College as Director of Early Childhood Education and the LifeWays Children’s Center. In 2005, Rena moved to the Florida sub-tropics where she founded and currently teaches kindergarten at Sea Star Waldorf School, in Boca Raton. She continues to mentor Waldorf early childhood endeavors, and teaches at various LifeWays and Waldorf Early childhood training centers in the summer months.